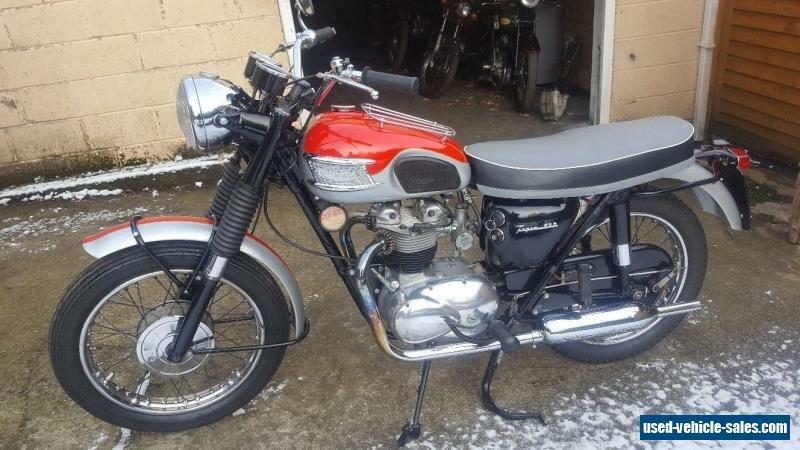 For auction here is really clean 1964 Triumph Tiger 100SS. This is rare machine since only 718 of these were built that year. The machine comes with current V5C and appears to be on its original registration number but is none transferrable. The bike is matching numbers and is classed as historic on the log book.The last owner told me: "Just done decoke re-ground valves, when head was off noticed the pistons were standard size, have fitted new pushrods and tappet adjusters, new oil pump, Wassell electronic ignition converted to 12v.New pressure relief valve, New chain and tyres also new seat forgot new brake shoes and front brake cable and clutch cable”The bike is in really quite excellent condition and runs spot on. Lights up, rides around is charging etc. Paint and chrome work is all bright and clean and excellent. Bore is standard. 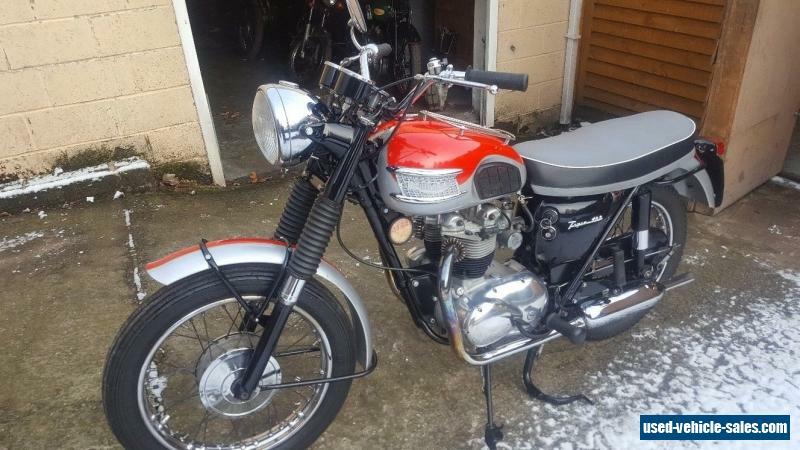 The bike looks to have been restored to an excellent standard all round. First class machine ready to use.No reserve. Viewing welcome. 01246 411977 for an appointment. No Buy it now. Collection preferred, although can deliver in the mainland UK for £ 100. Bid to buy not view afterwards. no Paypal or credit cards. 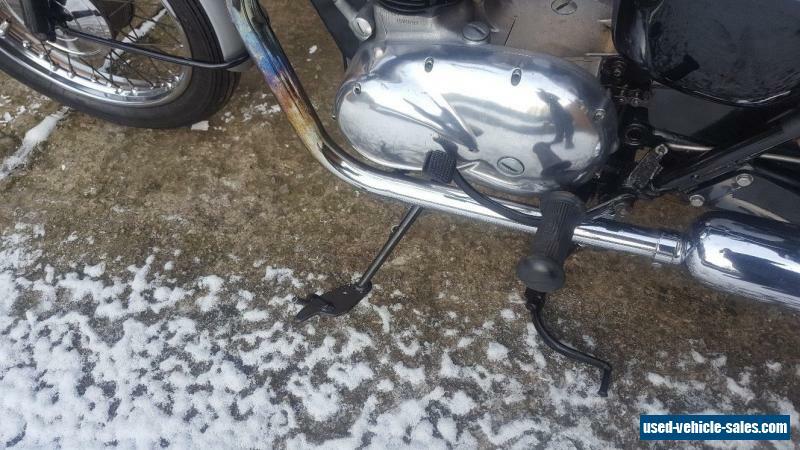 Suzuki RF600 street fighter with mot Aug 2016, 2 Keys, Good runner.